I have used the function “Get-AppvVirtualProcess” to terminate app-v processes through stop-process. This is not a clean solution but it get things done! I was wondering about a better solution for terminating App-V processes. Playing around with “Get-AppvVirtualProcess” i noticed the results are processnames and not the packagename. For an overview of options i used Get-Method on the PowerShell Object. I find “AppvPackageData” interresting. It shows the following results. The “explorer” process contains two different packages. 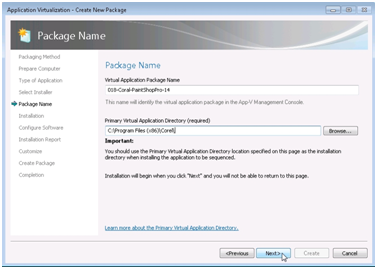 These packages use dynamic virtualisation to inject themself into the “explorer” process. The property “PackageVersionId” and “PackageId” are the same as “VersionID” and “PackageID”. I have also tried the same process with a process (firefox) inside of a connectiongroup. The results use the same properties as a single package, although the name of the connnectiongroup is shown. The property “PackageVersionId” and “PackageId” are the same as “VersionID” and “GroupID”. With this information we are able to lookup the packages underneath this App-V process. The following command shows all the packages underneath the firefox.exe process. This information is very useable for troubleshooting and automation! Have you been waiting for the App-V 5 publishing server to synchronisation with the App-V 5 management server? The default installation configures the synchronisation for every 10 minutes. This settings is stored within the registry of the server. Microsoft documented this registry in the following website https://support.microsoft.com/en-us/kb/2780177 . Microsoft also describes a manually trigger to start the synchronisation. I want to trigger the synchronisation process to avoid waiting and for emergency changes. The publishing server is build on top of the IIS “Internet Information Services”. Recycling the application pool “AppvPublishing” triggers the synchronisation process. Go to Server Management > Roles > Webserver (IIS) > Internet Information Sercices > Application Pools. Right click the application pool “AppVPublishing” and press “Recycle”. During the recycle process the publishing server keeps functioning and responding to requests from App-V 5 clients. With application deployment and testing i want to avoid waiting for the synchronisation timer. Therefore i need to force the trigger. I use the following PowerShell script to trigger the synchronisation process. This commando could be given remotely to the publishing server if PowerShell remoting is enabled. You could enable this through Enable-PSRemoting. I have used the following script to force synchronisation over several publishing servers. Caution: Beaware of the power of PowerShell. People are able to remove all the App-V packages from the server with one line. Have fun refreshing the publishing servers!!! At the start of packaging Corel Paintshop Pro X4 I searched the internet for recipes. A couple of silent installations are found on the internet. The application kept asking for registration and updates. I found the solution in a deployment guide of the product. For my customer i have downloaded the latest updates for the application. The service packs of the application are found at http://www.paintshoppro.com/nl/support/updates/#tab=3 . You need to download the service pack 2 and 3 because the service pack 2 is a dependency for 3. The application has a couple “first use” popup options. You need to capture the popups during the monitoring fase. 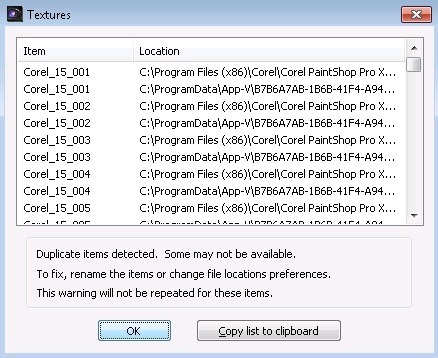 The settings are stored at %localappdata%\Corel Paintshop Pro\. To include the settings within your package, the %localappdata% settings needs to be removed from the exclusionist. The application will detect duplicated items if the first use is captured during monitoring. The “Create new package” wizard would add the PVAD option to the sequencer. 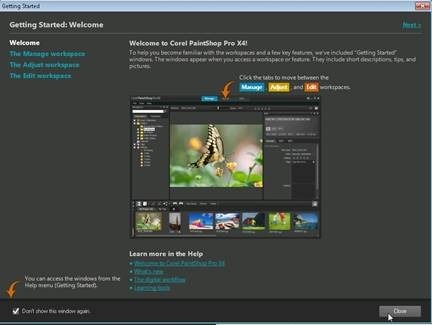 The application will install in C:\Program Files (X86)\Corel\. Use the same directory for the PVAD option. Enjoy Corel Paintshop Pro X4! On a Windows 2008 R2 server i got a additional error. With troubleshooting these errors i didn’t find a solution on the internet. There are some similar errors around with different solutions. My problem wasn’t about local rights, because I tried local administrator account and domain admin account. The application would startup correctly after removing the connectiongroup. The connectiongroup was giving the problem with these applications. A new connectiongroup with different applications worked fine. My suspicion instantly went to “allow all named objects to interact with the local system” and “Allow all COM objects to interact with the local system”. In Microsoft App-V 4. * this settings was “ALLOW LOCAL INTERACTION”. Both applications worked fine as a single App-V package. I connected both App-V packages through a connectiongroup. The connectiongroup imported without any errors or warnings. After the creation of the connectiongroup the applications started with the errors again. The connectiongroups aren’t able to handle a choice between using or not using “allow all named objects to interact with the local system” and “Allow all COM objects to interact with the local system”. 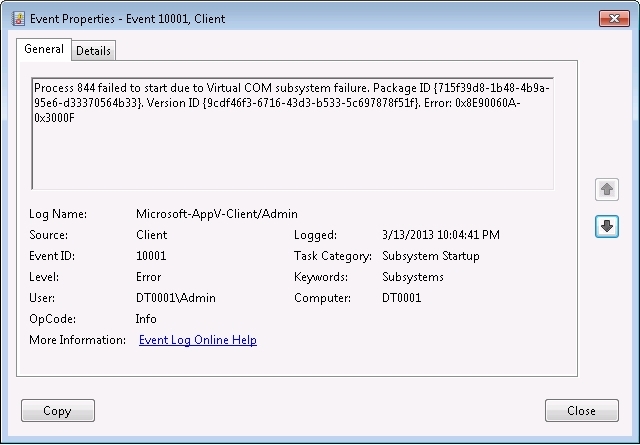 The Microsoft App-V 5 client will generate several errors with startup, because it can’t make a choice between them.